So as to accomplish high level of customer trust, we are keenly involved in offering LED Diffused Downlight. We offer them at reasonable rates. Diffused Down Light with imported acrylic diffuse to give smooth light. Available in 5W, 10W, 15W, 20W and 25W. 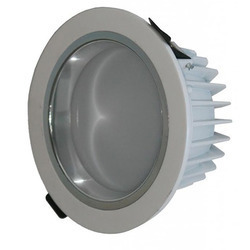 We are involved in offering a wide range of LED Diffused Downlights - 5 Watts to the clients. Our products are manufactured using premium quality raw material, which is sourced from reputed vendors of the market. Our products are made under the guidance of our proficient quality controllers. These products are available in a variety of specifications in the market. 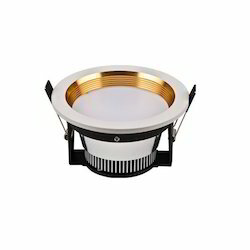 Svarochi make Downlights, warm and cool RGB with dimmable and bluetooth connectivity features.We mainly deal in navi mumbai, mumbai, Thane. We are Dealing in pan India for Long Term Business.we have 8 watt, 12 watt and 16 watt availability. Dealing only in Lumeva Brand, India Bulls LED Lights , Salzer switch gear, Aagami lights.